Emily's dad wants her to visit and meet his new wife at a horse ranch in New Mexico. Emily convinces Adriane and Kara to accompany her. 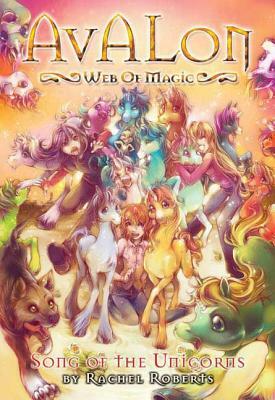 But along the magic web, a dangerous magic tracker is hunting down unicorns. In the deserts of New Mexico, the girls discover an entire herd of baby unicorns, which they must hide from the tracker before it is too late. Rachel Roberts is the author of Avalon: Web of Magic. She has revised the entire twelve-book series for this republication. Roberts toured extensively for the first release of the Avalon series in the "Avalon: Music is Magic Tour," a scripted musical event featuring songs, prizes, and author signings. She lives in Southern California.